Giving health and fitness-related gifts is tricky. Unless they have specifically asked for it, it’s probably not a great idea to give your friend a scale with a pretty red bow on it. You want to give people a gift they will use, but don’t want to make them feel like you think they are out of shape–unless want them to friend-dump you, in which case a scale is a great gift! The holidays are a notoriously unhealthy time. We gorge ourselves on delicious desserts that we only get once a year and spend lots of time indoors avoiding Old Man Winter. Gifts that encourage healthy living will be useful not only through the holidays, but long after as well. 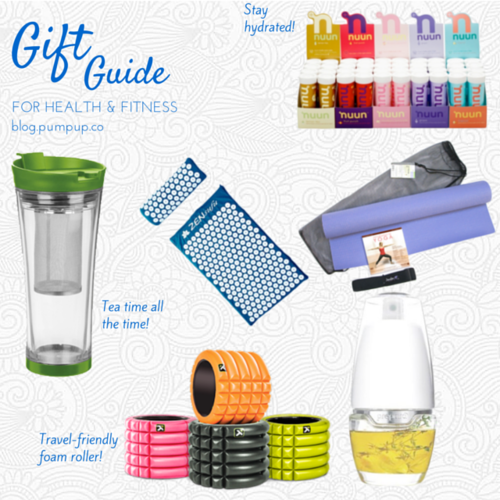 But, gifts are not a one-size-fits-all deal, especially when it comes to health and fitness-related gifts. What may be a dream gift for one person may go totally unused by another. So, to prevent giving a gift that will sit in the basement collecting dust, this guide will help you pinpoint what kind of person you’re giving to and get an idea of what gifts they could really benefit from. Take it with a grain of salt! You may know a Newbie who could totally benefit from a gift I’ve listed as good for a Pro. You know your friends and family best! This person is no stranger to the gym and has all the trendy fitness gadgets (the Fitbit, FiveFinger shoes, a juicer, etc). This person knows what they’re doing at the gym, and doesn’t need something that will get them excited about working out. The best gift to give them is a practical gift that they can use as a part of their regular routine. The newbie is, as the title suggests, fairly new to the game. They haven’t quite figured out what their “thing” is, but they’re committed to living healthier. They’ve already got some nice gym clothes, but that’s about it. This person has been saying for quite a while that they want/need to live healthier, but needs a bit of a gentle push in the right direction. This definitely isn’t a person you’d buy a scale for, so a gift that is less personal but still encourages better living in everyday life is the way to go. The traveler is always on the go, whether they’re traveling for work or pleasure. All that stress and time spent sitting in a car or on an airplane can really add up, so they need compact and useful items they can bring with them that will help them keep their body in tip top shape. Everyone drinks water, and unless you’ve been living under a rock you should know how bad buying plastic water bottles over and over again is. Plus, no one wants to be that person on the treadmill with the crinkly water bottle that the whole gym can hear. 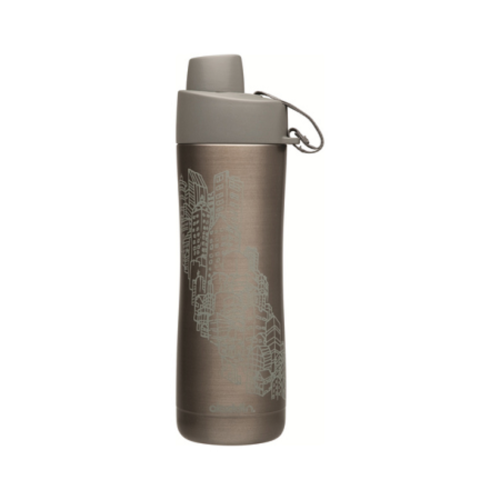 This water bottle keeps smoothies cold and coffee hot for at least eight hours. Some people have said it keeps water cold for over 24 hours. It is made of vacuum insulated stainless steel and can is easy to clean. Nuun tablets essentially work the same way Gatorade does by replenishing nutrients and restoring electrolytes, but without all the added sugar and in a more convenient and cost-effective way. There are also different tablets for different activity levels. 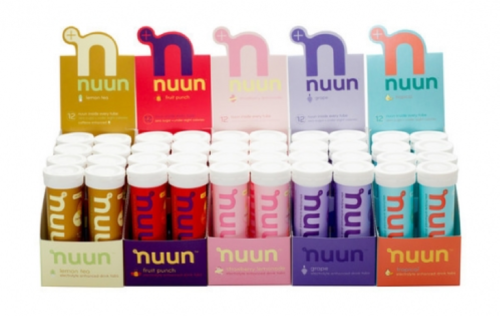 If you’re a marathon runner, Nuun Active Hydration tablets are best for you. If you just want to make sure you are drinking enough water, Nuun All Day Hydration tablets make all that water a little tastier. Just add an eight-calorie tablet to your water, leave the lid off while it dissolves, and then go! 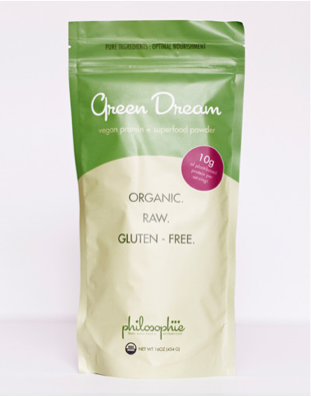 Philosophie’s Green Dream, Cacao Magic, and Berry Bliss protein powders are all plant-based and contain superfoods like chia seeds, hemp powder, cacao nibs, acai, and goji. They are all organic, gluten-free, and raw and keep you full, burn fat, and help combat heart disease, stress, depression and promote healthy blood, balanced blood sugar, and muscle recovery and rejuvenation. And, best of all, they actually taste great. Not sure what flavor to get? Order a starter pack ($40) or a sampler pack ($20) to taste test all three flavours. 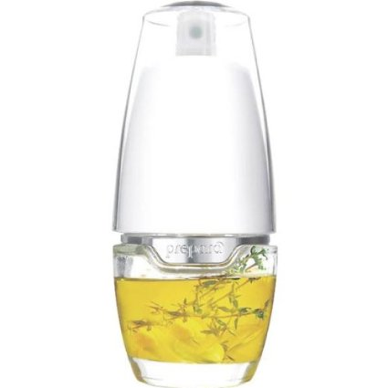 Oil misters not only help save often-expensive oils, but also save you from extra calories. They’re perfect for greasing pans, seasoning salads, prepping cookie trays, and making sure whatever you’re cooking doesn’t stick to the pan without all the added chemicals in aerosol cooking sprays. 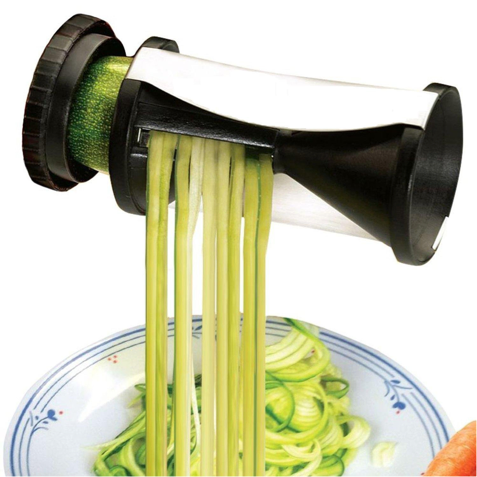 Whether you’ve just vowed to start cooking more yesterday, or whether you’ve always cooked meals yourself, just about everyone can use and appreciate this nifty gadget. Okay–this is one of those gifts that someone might sort of make someone hate you the first time they try it. This acupressure mat essentially stabs you in the back like you’re lying on a bed of nails, but if you stick it out the benefits are pretty great. 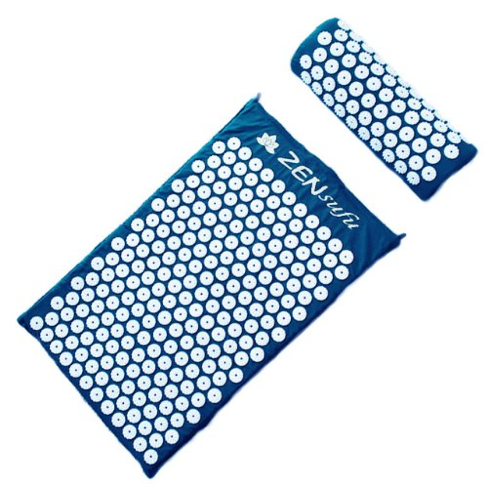 This torture mat can improve circulation, relieve stress, get rid of those annoying knots in hard-to-reach spots, improve posture, and can even seriously reduce or eliminate lifelong back pain. If you can look past the pain, it can be life-changing. It is pretty travel friendly and rolls up nicely, but is something that a Procrastinator or Newbie may not appreciate unless you know they have chronic back/neck problems. I personally think this is best suited to the Traveler and the Pro, but use your discretion. Everyone has the right to use a torture mat if they want to! This travel-friendly foam roller gets your blood pumping again after long bouts of sitting and gets right into those tight knots and kinks, something that the Traveler will definitely be able to appreciate. 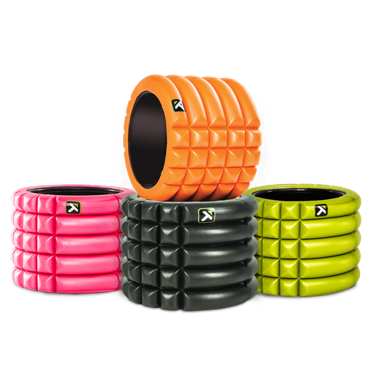 Foam rollers increase circulation and flexibility, aid in recovery from injuries, and help decrease muscle and joint pain. Everyone can benefit from a foam roller, but the Grid Mini is so easily portable that it is a Traveler’s godsend. Not everyone likes tea, but if you know a Traveler who does they’d almost definitely appreciate a tumbler they can steep tea in without risking a spill. It keeps tea hot for up to two hours and screws on tight with a flip top so it won’t leak. Bonus points for making or buying your own loose leaf tea blends and gifting them with the tumbler! It’s also handy when making sushi or any other dish that requires thinly sliced vegetables and makes prep time a fraction of that when using a knife. 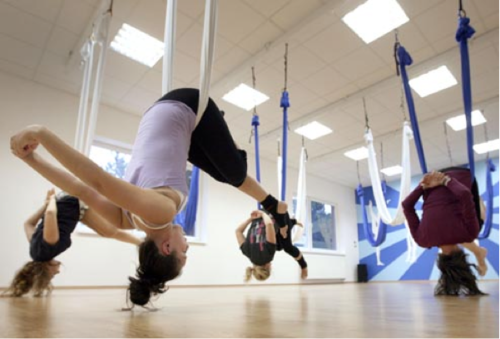 Buy a Groupon for an aerial yoga class or a pole fitness class for the two of you to go to–something that you know they wouldn’t regularly do that the both of you will have fun at. Don’t choose something that you need to have prior experience to excel at or something that you’re really good at that might make them feel like you’re showing off. No one wants to get a present that is just actually your friend wanting to show off in disguise. It’s important that you go with them to make the experience fun and less like a suggestion that they need to start going to fitness classes. Some of the best gifts are simply spending time together, so treat them to lunch after and share a laugh about how both of you are really bad at pole fitness. They’ll remember that gift years down the road – guaranteed. The Newbie could become a devout yogi, but they just haven’t tried it yet. The Procrastinator may think that getting in shape is only possible by taking an intimidating CrossFit class. Show them that yoga is a great way to improve strength and flexibility and energize the body without a veiny personal trainer yelling at them. 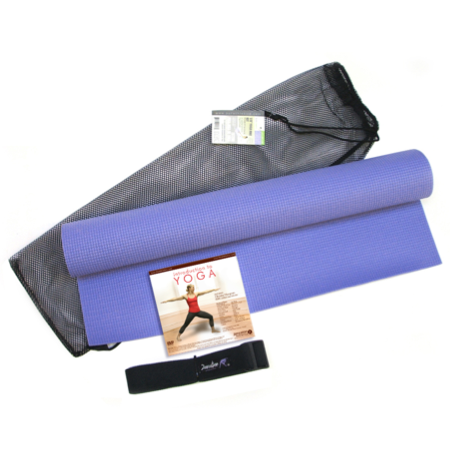 Includes one yoga mat, one carrying bag, an instructional DVD, and mat carrying strap. Etsy is a great source for unique gifts at a reasonable price, and it has a ton of workout-related motivational jewelry that a Pro would most likely love. 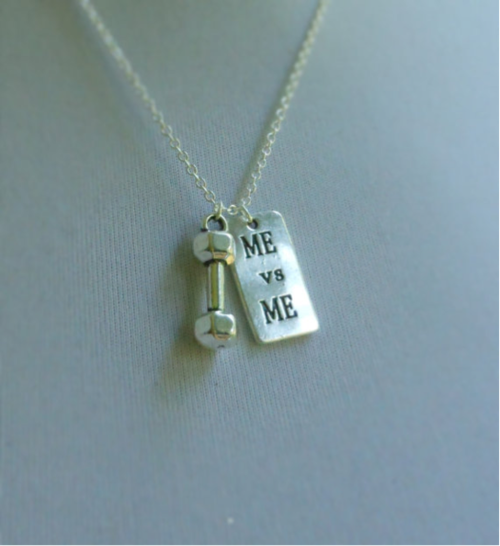 Who wouldn’t want a tiny dumbbell necklace? It’s adorable! Whether their thing is running, weightlifting, or yoga, you can find a bracelet, necklace, or keychain charm that fits their niche. Odds are, a Pro would already have some sort of super duper smoothie maker. 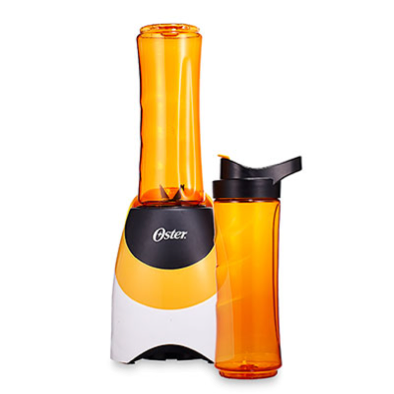 A Vitamix may not be an affordable gift, but the Oster Travel Smoothie Blender definitely is. Smoothies are an easy and delicious snack (or even breakfast) and this blender saves you the extra step of transferring it from the blender to the mug. Just about anyone can benefit from something that helps make eating well a little more convenient.